DNR › Off Highway Vehicles › Who can ride on off-highway vehicle in Nova Scotia? Who can ride on off-highway vehicle in Nova Scotia? Nova Scotians 6 years-of-age and older may operate an OHV, however specific conditions must be met particularly around safety training, riders under 16 years-of-age, and for OHV rallies. To legally operate an OHV in Nova Scotia many operators must obtain a safety training certificate. Are not a parent/guardian of an operator under 16 years old. Note, if you are exempt your spouse/partner is also exempt. You operate a golf cart on a public or private golf course. 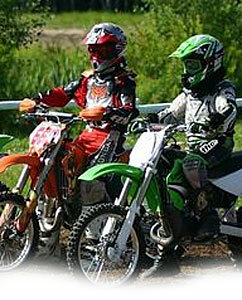 If you are not exempt, you must obtain a safety training certificate to be able to ride.